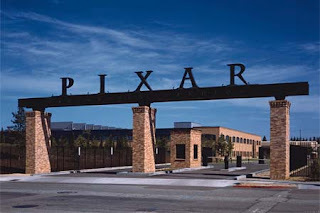 Walking up the stairs of the Disney Animation Studios building, Ed Catmull talks about change. "We took down as many walls as we could," he says, showing off a bright and open second floor -- a stark contrast to the narrow hallways and separate rooms on other floors. That attitude is exactly why Bob Iger brought on Catmull, a computer science Ph.D. who started Pixar as a division of LucasFilm in 1979 and led the company from the time Steve Jobs bought it in 1986 until its acquisition a year ago, when he took his new job. The problem these days isn't quantity, but quality. In the past six years, WDFA released seven toons, only two of which made more than $100 million domestically and only one of which, 2002's "Lilo and Stitch," was also positively received by most critics and the animation community. Disney artists felt that lack of success acutely, which is why morale was particularly low in 2005. But insiders say that feeling changed almost overnight when Catmull and Lasseter, two of the most respected figures in the industry, took over.Disney animators use words like "euphoria" to describe what they felt at the time. Today, those feelings are more tempered, thanks to an unexpected round of cutbacks in December that saw Disney Animation lay off 160 employees, or about 20% of its staff. "Everybody recognizes the fact that they're trying to change the culture down here for the better, but it's safe to say that the pixie dust that surrounded their arrival has pretty much disappeared," says one source close to Disney Animation. Catmull says the layoffs weren't a result of corporate pressure, but his and Lasseter's decision to move Disney Animation from putting out one pic per year to one every 18 months. "It took Pixar 10 years to get to one movie per year," Catmull notes. "We had to get things back in balance and then grow from there. "Such sentiments, while reasonable, underline why many in the animation community say Mouse House artists are struggling with an inferiority complex: Pixar kept its leadership, didn't experience any layoffs, and is putting out one pic per year.In other words, the 72-year-old Disney Animation has to follow the example of its 20-year-old sibling. Similarly, this summer's Pixar release "Ratatouille" is the first film from that studio to see a director ankle after years of development. Jan Pinkava, who was set to make his feature debut after winning an Oscar for Pixar short "Geri's Game," was replaced in 2005 by Bird. Really? I thought there was another one, like Toy Story 2, no?